The Spirit Board Table Lamp will light up your crypt! 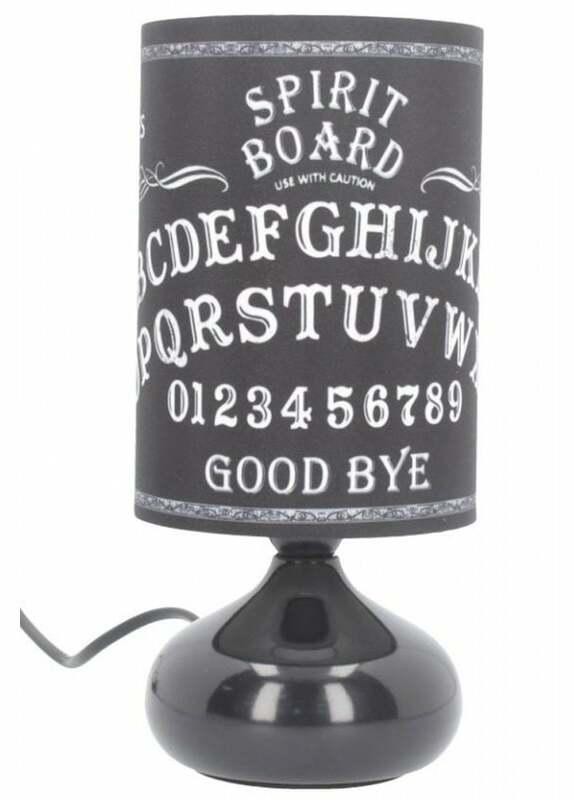 Atop the black ceramic base sits a lamp shade decorated with the elements of a traditional ouija board. The lamp has a standard UK plug.